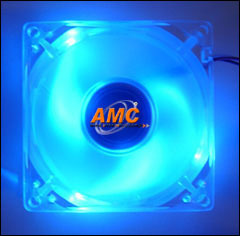 (2) Cool Blue Neon LEDs implemented for personal modding pleasure! (3) Longer life (MTBF 300,000 Hrs) ! (4) Low noise design, cool and quiet! (5) Advanced Friction & Vibration Resist , Extra Heat-Resistant !